TORONTO (June 12, 2011) – The National Hockey League Players’ Association (NHLPA) announced today that two new members will be representing the Players as members of the Competition Committee. 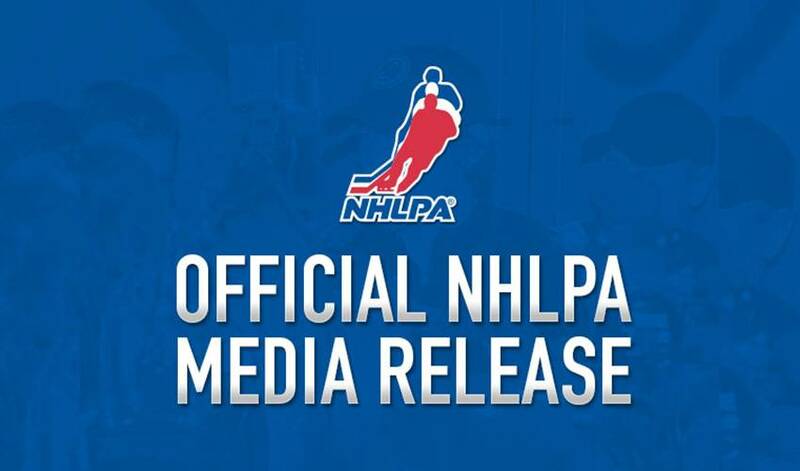 Following their recent selection by the NHLPA's Executive Board, Mike Cammalleri (Montreal Canadiens) and Chris Campoli (Chicago Blackhawks) will join current members David Backes (St. Louis Blues), Chris Clark (Columbus Blue Jackets) and Ryan Miller (Buffalo Sabres) on the Competition Committee. Cammalleri and Campoli replace Mike Commodore and Mathieu Schneider as voting members of the Committee. Schneider will remain on the Committee as the NHLPA's non-voting member. The full NHL/NHLPA Competition Committee will meet on Monday, June 13th at the Boston Marriott Copley Place, from 11 a.m. to 4 p.m. in the Boylston room on the first floor. Please note that media availability will be held at the conclusion of the meetings. The listed time is an approximate end time.